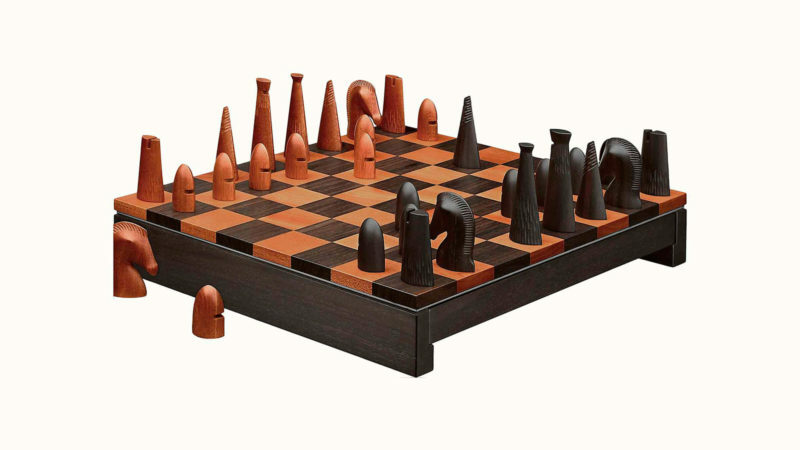 This hand-carved chess set from Hermes is a display of abstract design and world-class craftsmanship. Playing chess means paying attention to every detail. The Hermès Samarcande Chess Set is an ode to that skill, transforming the game’s key players into abstract forms with subtle details that make them instantly recognizable. A display of thoughtful, unexpected design and world-class craftsmanship, this set is worthy of any chess master’s sensitive strategies. It’s also an exquisite lifelong investment, thanks to the Mahogany and Java palissander (rosewood) that make up its wooden chessboard and hand-carved pieces. The hand-carved pieces are the real stars of the Samarcande Chess Set, fittingly named after the ancient Uzbek city that has spawned many a grandmaster. Each knight is a meticulously carved horse with telltale ridges along its mane, while the pawns are smooth bullets with simple cutouts that create a helmet. 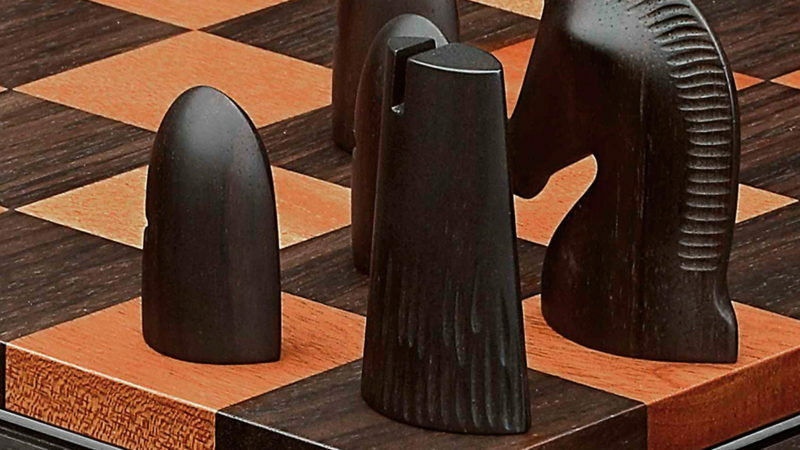 Give this chess set a place of honor in your home, and it just might inspire some creative strategies in the years ahead.